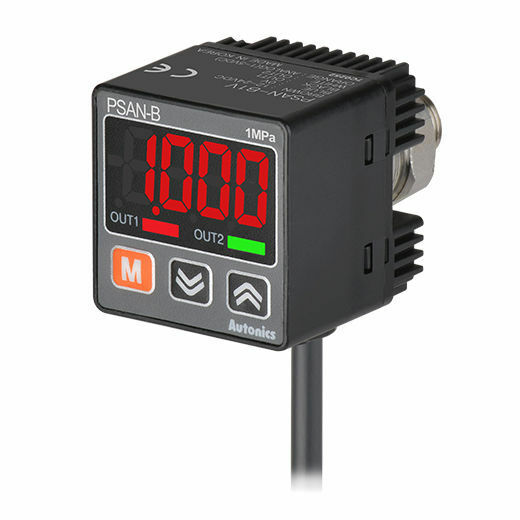 The PSAN series compact digital pressure sensors are available in cable type (fluid type only) and connector types (fluid type, pneumatic types). 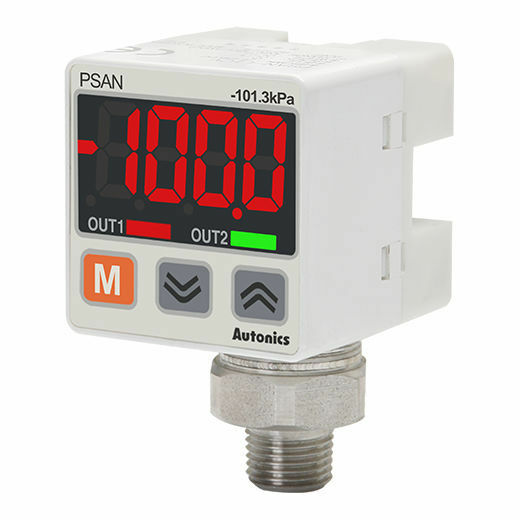 The versatile sensors are capable of measuring and displaying various types of pressure including gas, liquid, and oil. 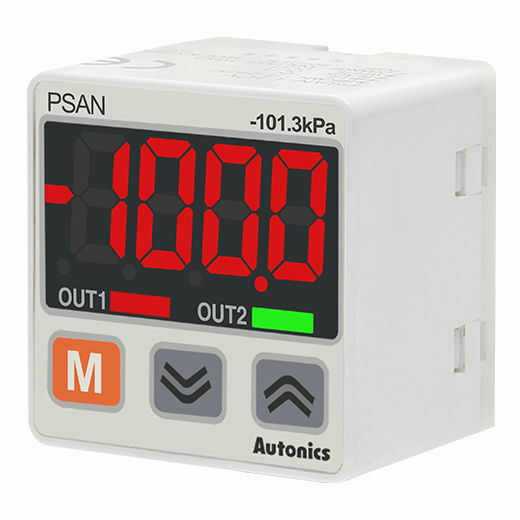 The PSAN series features various convenient functions such as zero-point adjustment, peak value monitoring, and chattering prevention. Independent 2-point output is available with an option to choose between normally open and normally closed outputs.